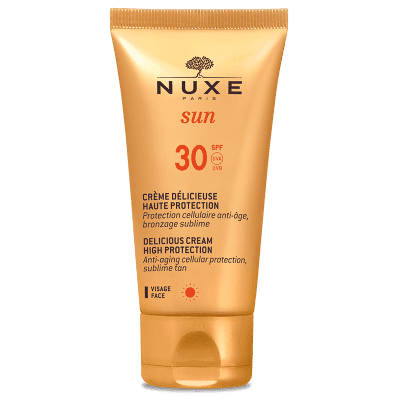 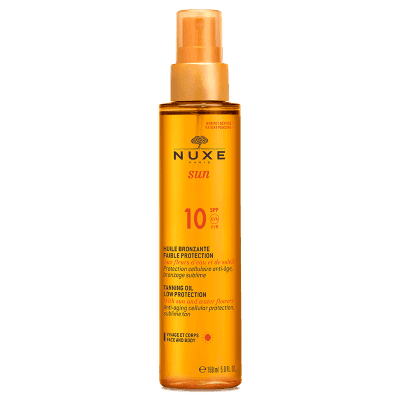 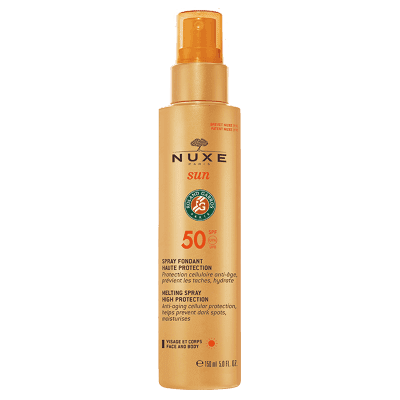 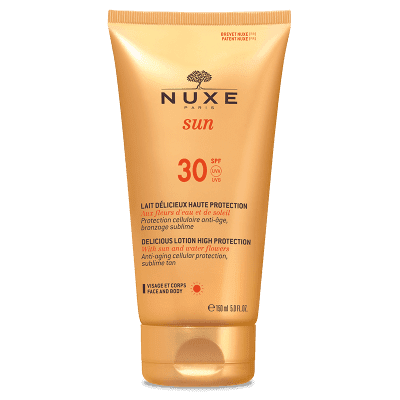 Nuxe Sun philosophy aims to combine ideal sun protection with total glamour you will love the fabulous Delicious Fragrant Water as your summer time beach scent and the very comprehensive Nuxe sun protection range. Not just giving high factor protection for your face and delicate areas to amazing protection to your hair and then after care. 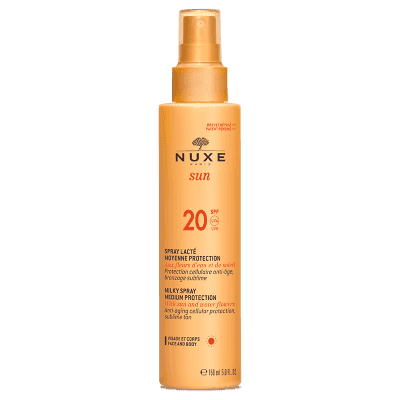 This after sun lotion with Sun and Water flowers repairs, hydrates and perfects skin and prolongs your tan by two weeks*. 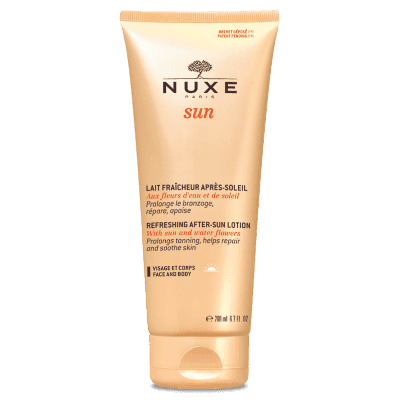 Its fresh texture is immediately soothing and leaves skin feeling comfortable after sun exposition. 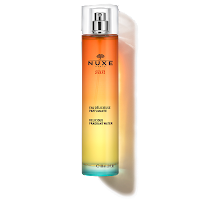 A bewitching fragrance with notes of Sweet Orange, Tahitian Gardenia and Vanilla. 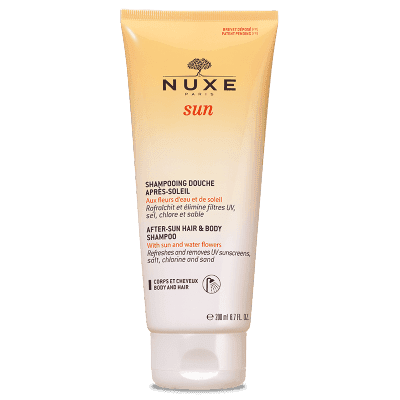 This after sun shampoo for hair and body, with Sun and Water Flowers, gently cleanses and removes all residues (UV filters, salt, chlorine and sand). Skin is cleansed, refreshed and deliciously fragranced, ready for an after-sun product. 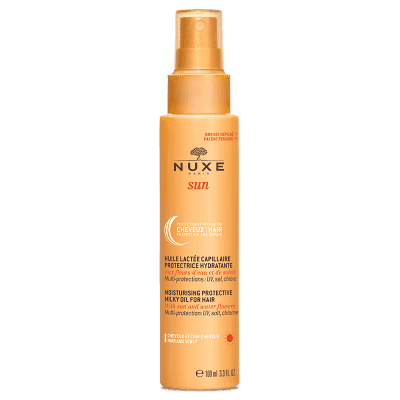 Hair feels supple and soft.